Spring and Summer trends can be predictable, but sometimes they are delightfully ephemeral. 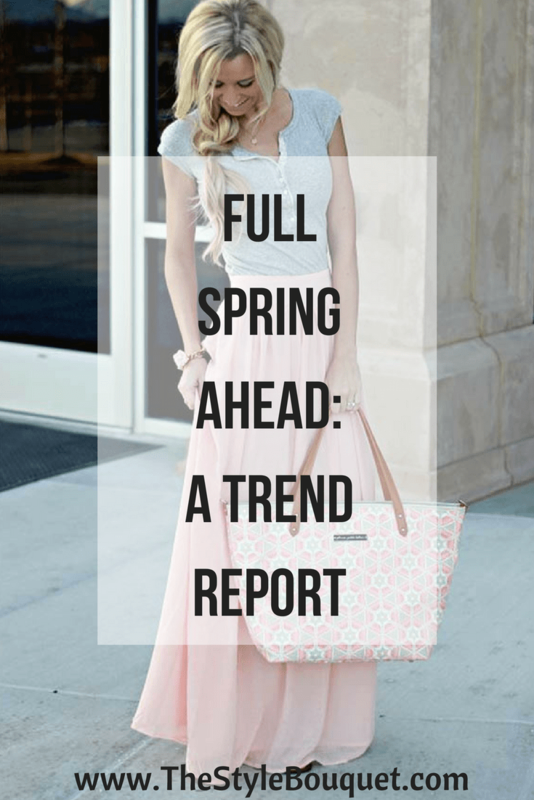 And so is this list of the ten most popular trends for the Spring and Summer. Some are surprising, and some are almost expected. 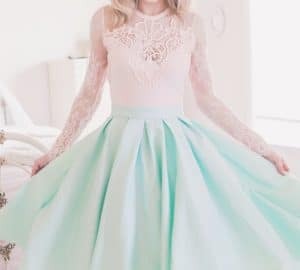 For example, pastel colors are everywhere in the Springtime regardless of whether they were seen the previous Fall on the runways or not. Personally, I believe that pastels are a beautiful Spring tradition that should never follow the trends. However, some Spring and Summer trends that might only be present for a season or two are embellishments such as sequins. Any kind of adornment is surely going to fade with the trends. 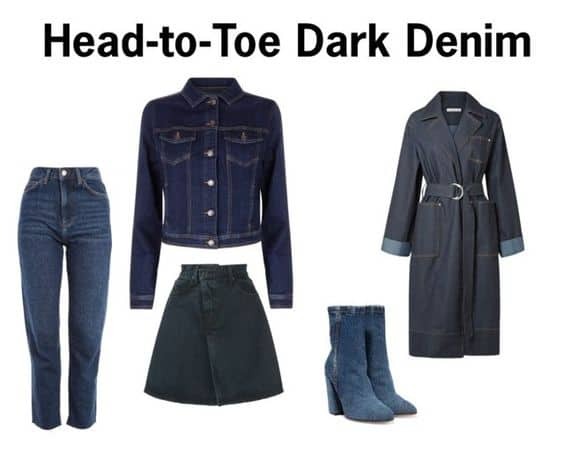 Another trend that I believe that has a mainstay for the next several seasons is dark denim, even head-to-toe denim. I believe it is here to stay! It is very flattering on most body types and it’s a great alternative to a dress if you’re in the mood for something a bit different. All-in-all, this season’s trends show both diversity and predictability. Now that I have given you a sneak peek into the top ten trends of Spring/Summer 2018, here is my official list. 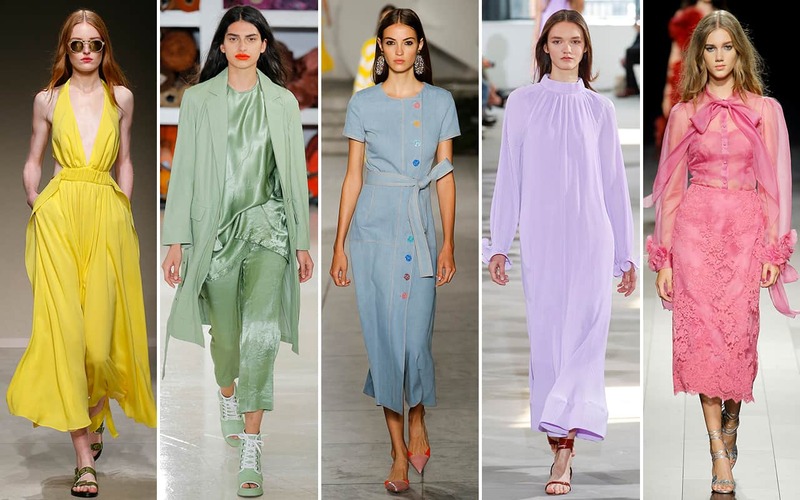 Pastels dominated the runway last September during the “Big Four” Fashion Weeks. 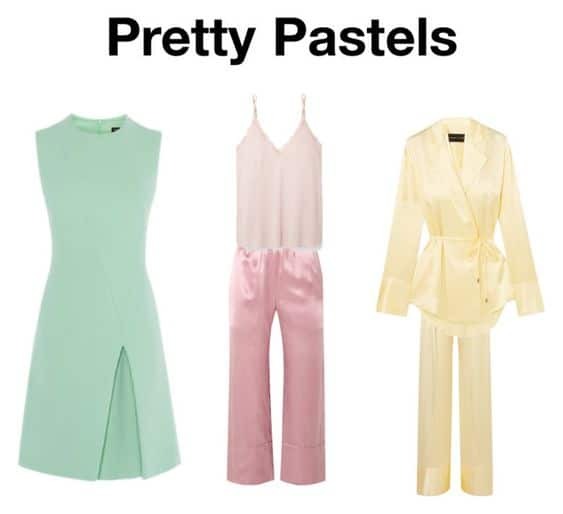 It’s safe to assume that if you wear pastels this Spring, you’ll be on trend! Some Designers Who Showed Pastels: Jasper Conran, Chloé, Acne Studios, Blumarine and Roberto Cavalli. 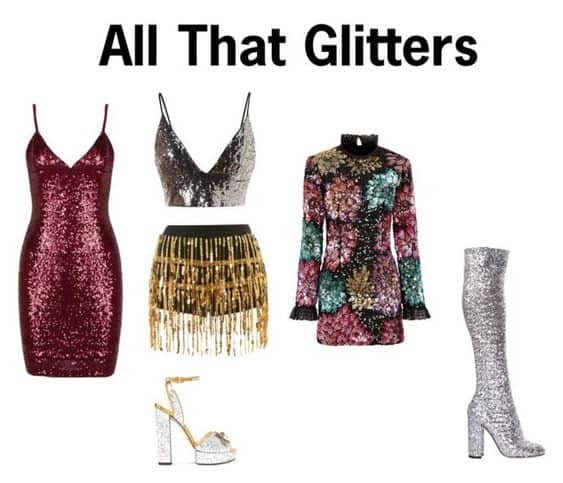 With minimalism taking a back seat, embellishments such as sequins and glitter are the new normal. In this brave new world, the more, the better! Some Designers Who Blinged Out Their Collections: Gucci, Marc Jacobs, Molly Goddard, Halpern, and Ashish. 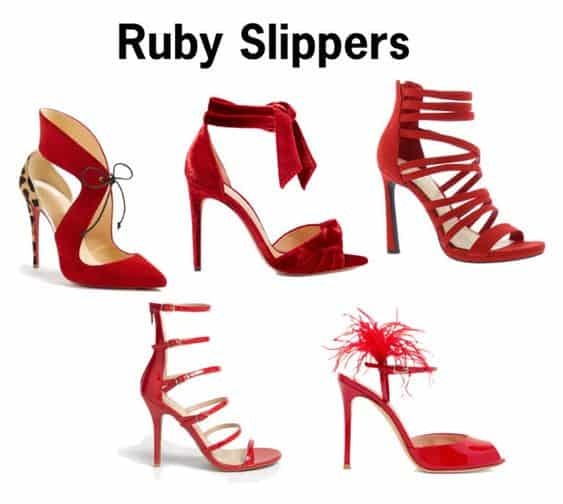 Red stilettos rise above the pack as this trend comes forward with a fury. Dress them up, show the off, just don’t take them off! Some Red Shoes on the Runway: Givenchy, Celine, Tom Ford, and Balenciaga. 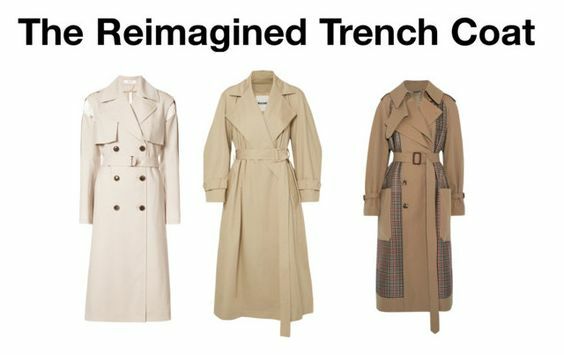 Whether it’s cropped, caped, cutout, or fringed, the trench coat is, most likely, the season’s trendiest piece. The already versatile coat gets a remix with fresh takes in a range of soft neutrals. Some Designers Showing Trench Coats: Loewe, Alexander McQueen, Gabriela Hearst, Bottega Veneta, Alberta Ferretti, Michael Kors, Etro, Tod’s, and Celine. 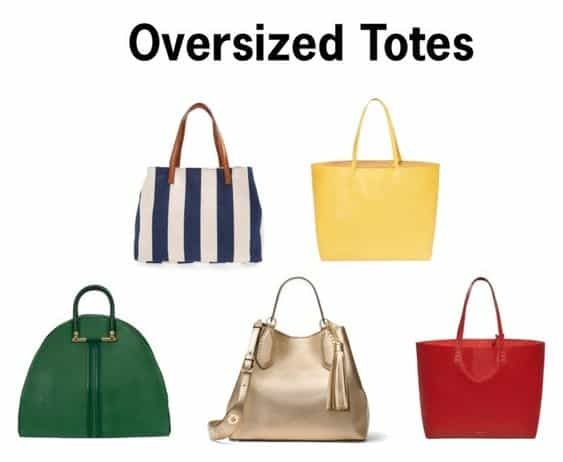 Quite useful for your morning and evening commute, these oversized totes were seen on the Spring /Summer 2018 runways as a viable option to carry all of the season’s necessities. Some Designers Showing Oversized Totes: Gucci, Gabriela Hearst, Celine, and Loewe. Denim, especially dark denim, remains a dominant force. Whether it’s wearing your denim in a relaxed and soft silhouette like a cool girl or striking a pose in a tailored look, you’ll be on trend dressed in denim. 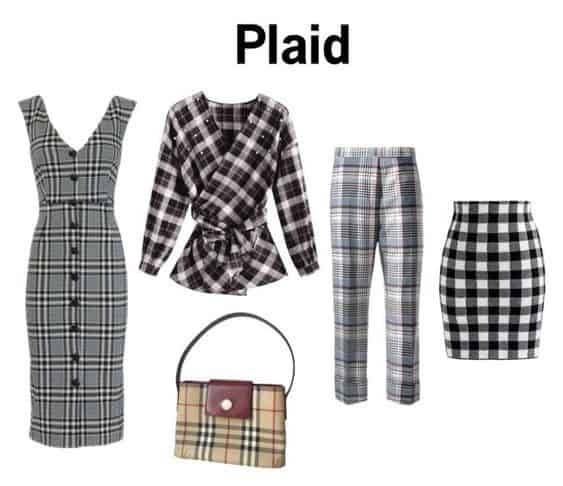 Plaid appears in unexpected prints and silhouettes. Be bold and wear the pattern from head to toe! Some Designers Who Showed Plaid: Balenciaga, Tommy Hilfiger, Miu Miu, Ralph Lauren, Calvin Klein, Hermes, Altuzarra, Burberry, and Chanel. Dangling earrings get supercharged when major brands show them off on the runways for Spring/Summer 2018. 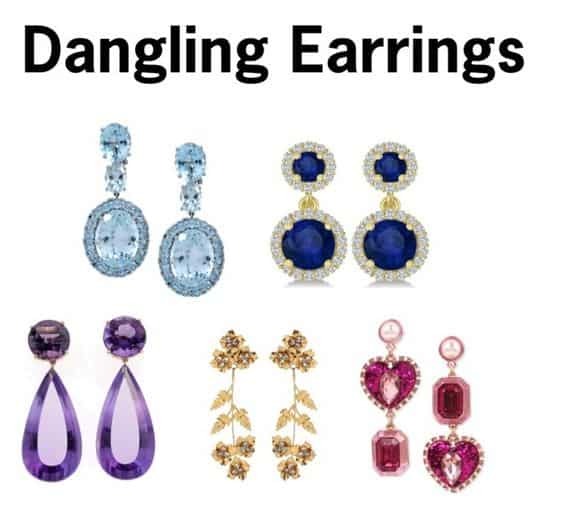 Some Designers who including dangling earrings: Chanel, Dries Van Noten, Dolce & Gabbana, and Alexander McQueen. 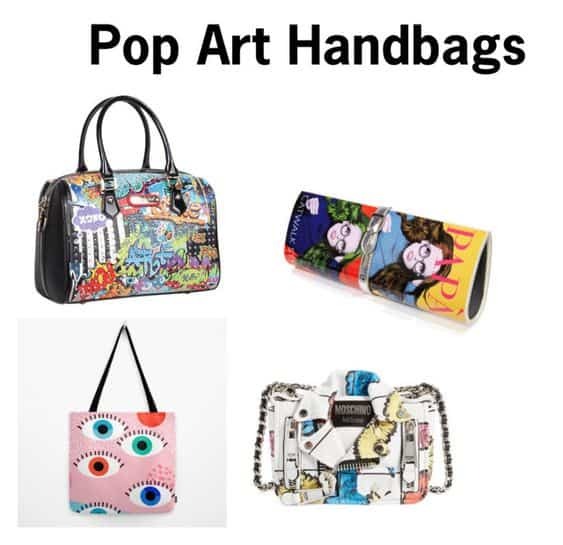 Liven up your handbag collection with some Pop Art! Not only is it eye-catching, it’s bound to go with any outfit. Some Designers who have Pop Art in their collections: Valentino, Prada, Versace, and Akris. 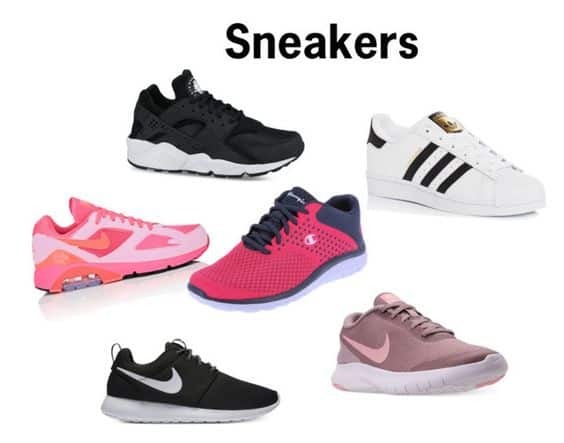 Wear sneakers all of the time, even out of the gym! It’s fun, it’s comfortable, and it’s fashionable! Check out my article on the White Sneaker Frenzy that has been going on for several seasons. I love the colors of Spring! Pastels are so fun to wear, and I appreciate a good denim jacket during chilly springtime, too! YES! Give me all the pastels! so excited for this spring and gorgeous colors like this! You can’t go wrong with pastels in the spring time, they are so pretty and feminine. I love that sneakers are staying on trend too. I love the pastels! And I love your glitter picks. I’m definitely ready for spring! !